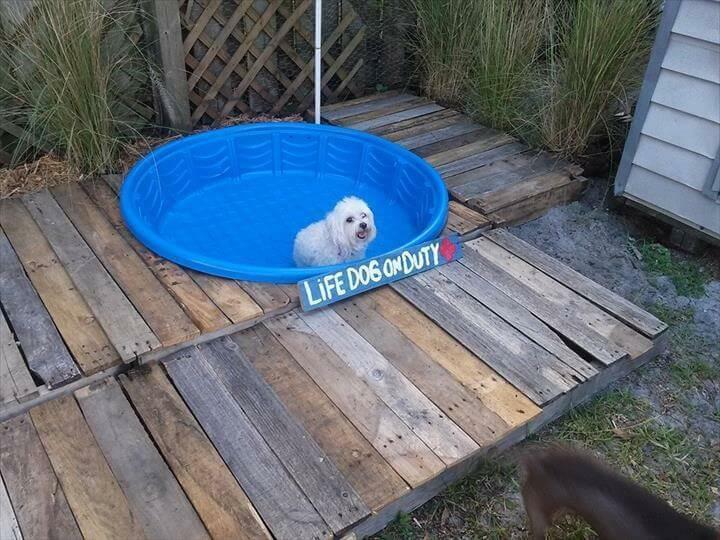 One place where you can simply left your dog to have fun all the daylong is doggie pool which may be located anywhere at your outdoor! Is your dog going also not to leave you alone anytime? 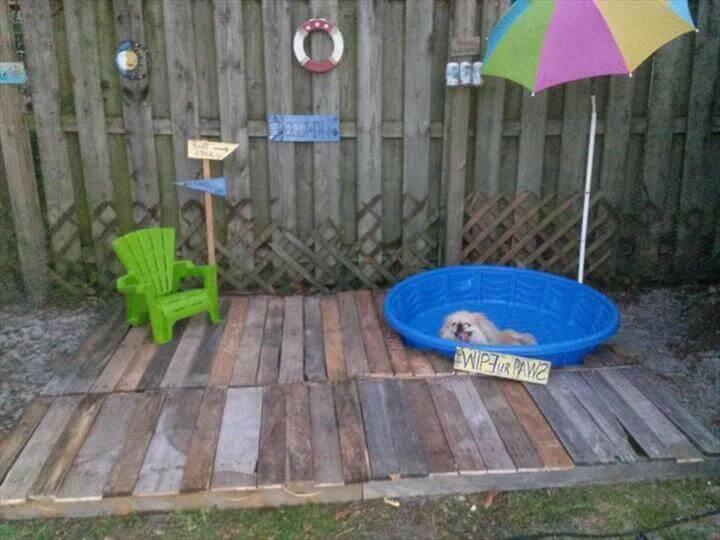 Need some tangible setups to turn your garden into a dog-friendly space? This idea we are to share here would not even cost you a lot and is also a timeless one! 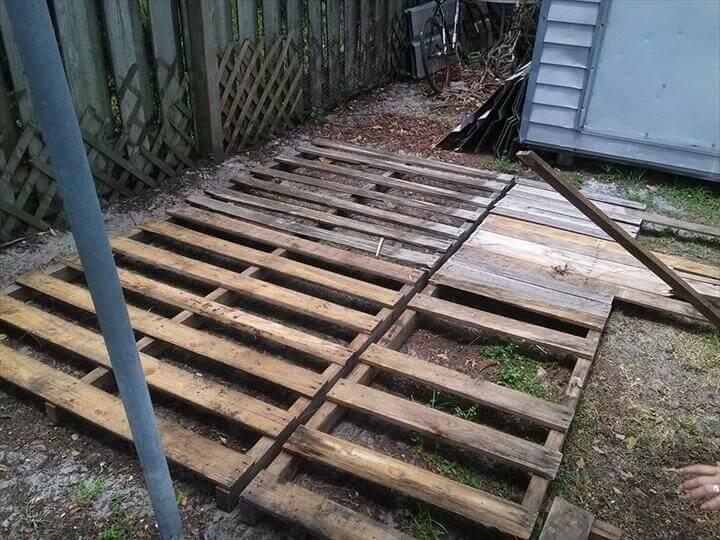 You only need some of retired wood that can easily be grabbed in shape of rustic pallets! 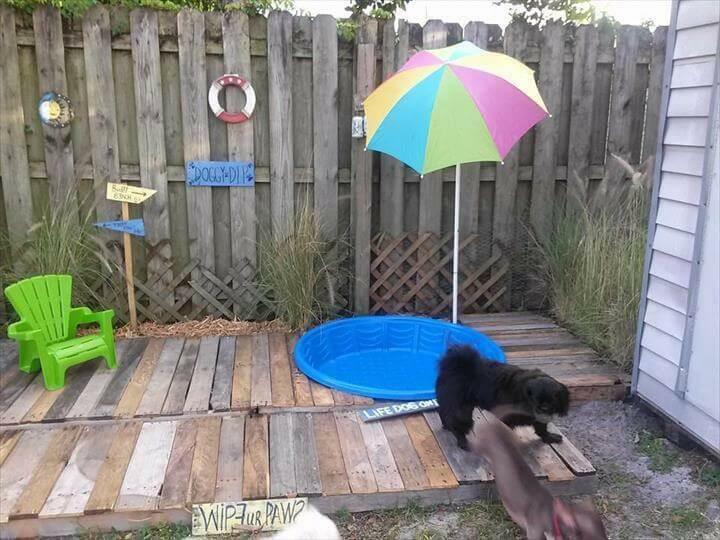 Just floor them up to create a safe wooden platform to add bathtubs and little water pools for your dog! 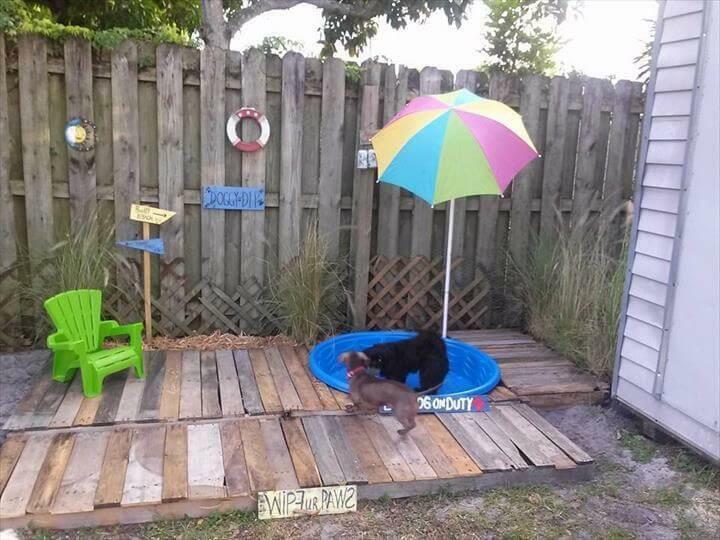 Check out this creative DIY pallet dog swimming pool area, is not it full of fun to make your dogs jump with joy? 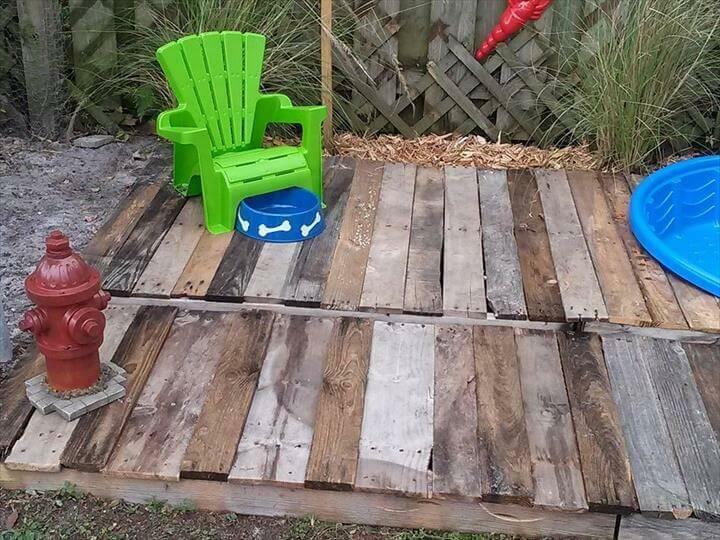 This is really how you can give a creative and super functional come back to old pallets thrown just to rot away! 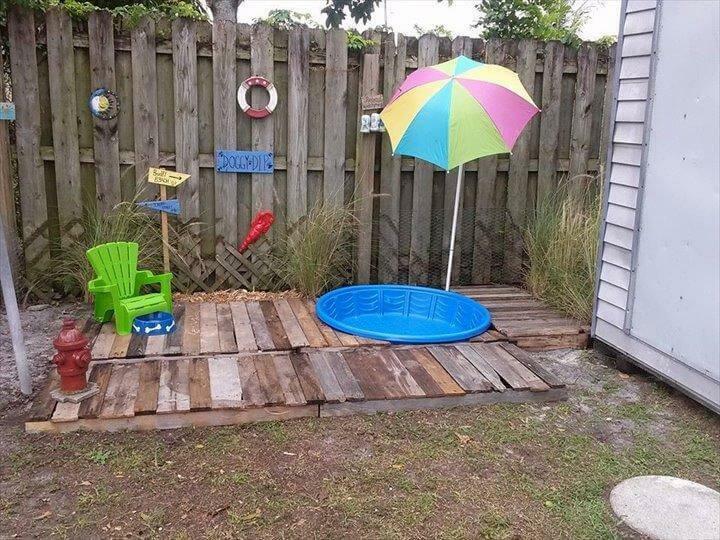 Such a DIY pallet projects are also suggest some remarkable uses of pallets to improve your outdoor with them at time when you are extremely on a budget! 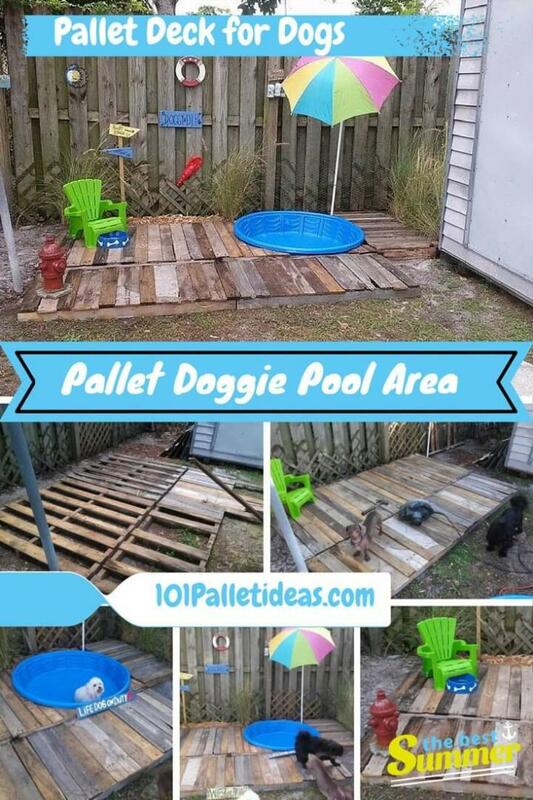 Start this pretty quick and super easy project by just flooring the pallets! fill the in between empty spacing with removed pallet slats for a smooth and durable wooden floor! cut some portions of installed wooden floor out to fit well the bathtubs! 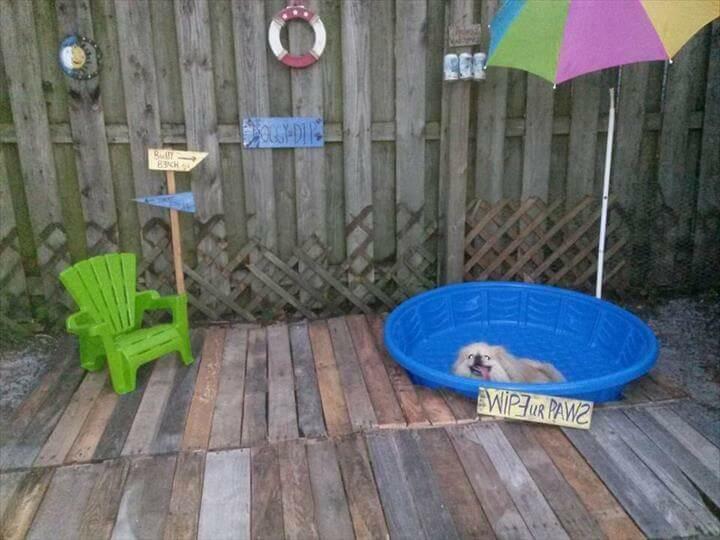 Also put some chairs and dog bowls for full entertainment of your lovely dogs! just fit an umbrellas just there for sun protection to your dog! Thinking about the total cost price to install it? It can be done on a budget for just to nothing! 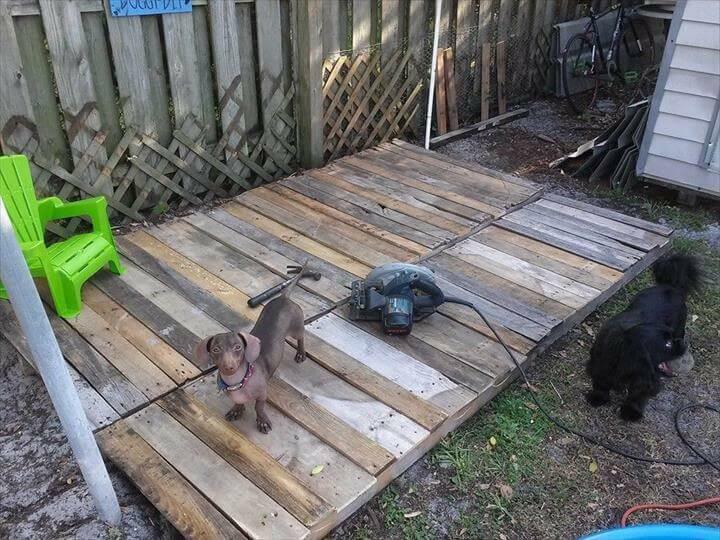 and also a way to make your garden more pet-friendly! Put some water in the installed blue bathtub and let your dog dance inside of it! Garden, home deck and backyard of home, are the locations that suit best to install such a fun setups! Best ever plan to please your dog in deadly hot summers!